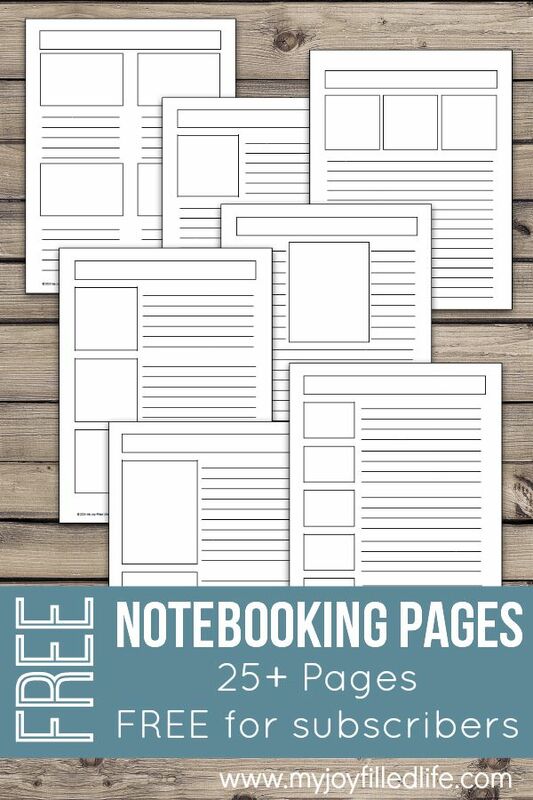 If you are looking to incorporate notebooking into your homeschool subjects, then these notebooking pages will be perfect to start you off. What I like best about these notebooking pages is that they are plain and simple. It is easy to find fluffy, colorful and cute notebooking pages, however when it comes to neutral or plain ones, its pretty hard to find. This freebie contains 26 blank notebooking pages in a variety of different layouts. Each one has a space at the top to include a heading or title for that page. If you have girls that like doodling, there is plenty of room on these pages for that as well. Check out these free simple printable notebooking pages here from My Joy-Filled Life.